Guardians of the Galaxy Vol. 3 isn’t coming any time soon. It looks like the sequel won’t begin production until 2021, after getting put on the backburner by Disney. Pre-production was originally supposed to be happening now, with an aim for an early 2019 start date, but director James Gunn was fired from the project after some old tweets came back to haunt him. Since then, Disney has been meeting with potential directors, but there doesn’t appear to be a rush, according to sources. Along with the 2021 production start date, the working title for Guardians of the Galaxy 3 has reportedly been revealed as Hot Christmas. Which begs the question, is it a Christmas movie? 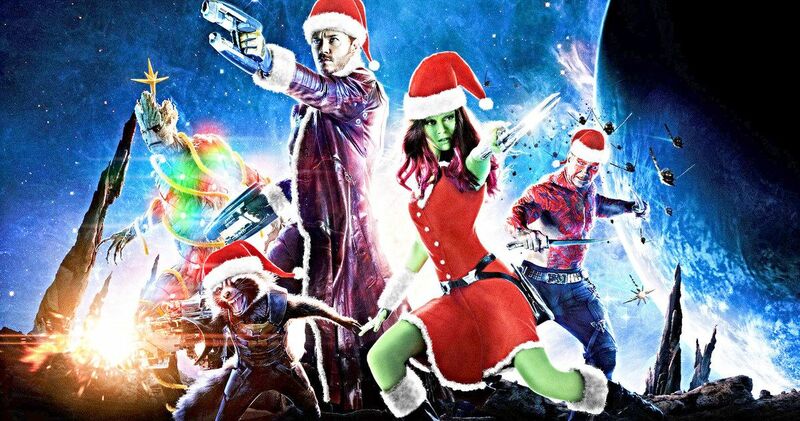 Will we get to see Star-Lord, who experienced quite a few Christmases before being whisked off to space, trying to enjoy some of his family holiday traditions, teaching the others, when chaos ensues and a new mission breaks out? That certainly would be interesting. Others believe this is a reference to Adam Warlock, who has sometimes been called Space Jesus in the Marvel Comics. James Gunn has played coy with whether or not Adam Warlock is appearing in this sequel. And, on top of that, he did tease a Guardians of the Galaxy Christmas special a while back. So who really knows at this point. As for when in 2021 filming will take place, that is unknown at this time. But with a 2021 start date, this would mean that the sequel will hit theaters in 2022 at the earliest, 2 full years after it was supposed to help usher in Phase 4 of the Marvel Cinematic Universe. James Gunn had previously said that the third and final installment helps to set up the next decade of MCU projects. Guardians of the Galaxy 3 will reportedly still use James Gunn’s script, but since the film is set to come out much later than originally anticipated, one would have to imagine that there will need to be some major touchups to follow what will happen in the future around the MCU. It was believed Guardians of the Galaxy 3 would play a big part in setting up The Eternals, but it looks like filming on that project will begin in 2020, 2 years before the third Guardians hits theaters. Elsewhere, Phase 4 of the MCU will begin this summer with the release of Spider-Man: Far From Home. Aside from that, it’s believed that Doctor Strange 2 will begin filming either by the end of the year, or early next year. The standalone Black Widow movie is also rumored to begin production in 2019l. Additionally, Black Panther 2 will also be getting off of the ground in that time, which puts Guardians of the Galaxy 3 out in the weeds. Marvel Studios is good at keeping secrets, so let’s hope that they have a good plan in place for the third and final Guardians installment. With Guardians of the Galaxy 3 out that far in the MCU release schedule, it’s easy to imagine that the project could end up not happening at all, unless something big happens within the next few months. As with all things MCU, we’re just going to have to sit back and wait to see how everything pans out. With that being said, it looks like Avengers 4 could be the last time that we see the Guardians on the big screen for quite a while. This news was first reported by Pursue News.